Size: 18.86 x 10.28 mm. Here is a fun gem! 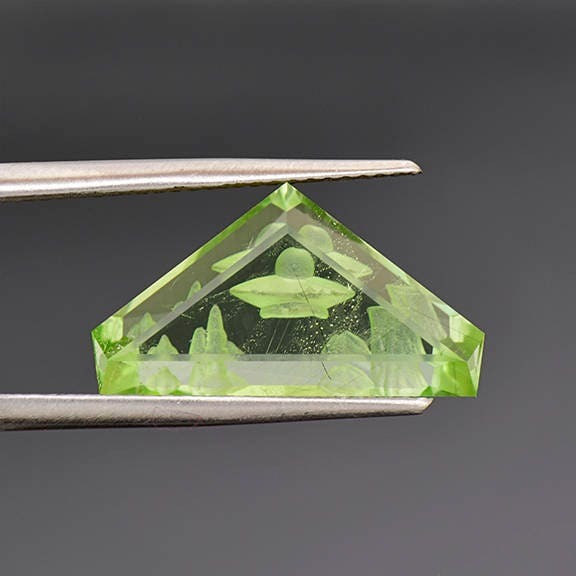 This is a fantastic piece of Peridot from Pakistan with some lovely design work. It has been faceted and hand carved on the back to create this interesting scene. The carving features a flying saucer with a small landscape of alien terrain. The stone has been faceted into this compressed triangle shape that frames the scene beautifully. The Peridot material is a gorgeous mint green color that is vibrant and contrasts the carving work excellently. 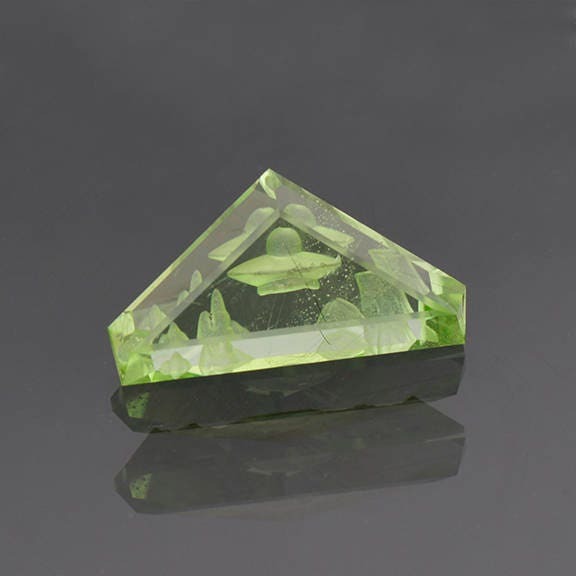 There are several long crystals of Ludwigite suspended inside of the Peridot. 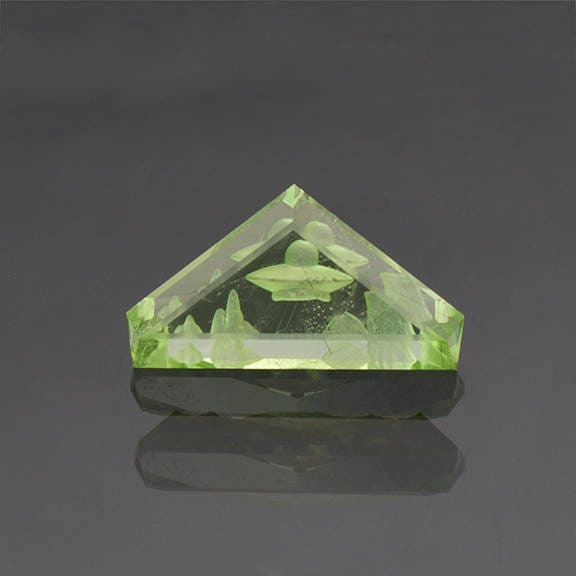 This gem will make for a fantastic piece of jewelry, particularly a pendant. 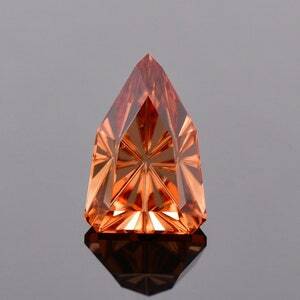 This stone was faceted by Allyce Kosnar and hand carved by Brett Kosnar of Kosnar Gem Co, during April 2017. Enjoy!